The third Jakarta Coffee Week held again by ABCD School of Coffee and HYPE from 28-30 October 2018 at PIK Avenue, Grand Ballroom 7thFloor. This biggest coffee festival in the country becomes the annual gathering of most coffee players in Indonesia, from the west to the east region, from farmer to consumer. This year, there are a lot of new players in the industry, not only the coffee shops and roaster that open the booth, but this year we see coffee machine maker, chocolate product, clothing product that related to coffee, also participate in the festival with the total of 96 tenants. From the innovative brewing machine from glasses such as SUJI and 201, until a roaster machine such as VNT Indonesia. Pasar Kopi or the coffee farmers market corner occur again in this year Jakarta Coffee Week. Under SCOPI (Sustainable Coffee Platform of Indonesia), they manage to arrange the tenant booth and inviting 15 coffee farmers representing coffee origin region from all around Indonesia such as Java, Flores, East Nusa Tenggara, Sumatra, Sulawesi, Papua, and other. This corner become the direct trade opportunity for coffee buyers or roasters to meet the farmers and buy the green beans coffee that they want. Fire and Gas Roasting Competition become the first roasting competition to be held in the history of Jakarta Coffee Week and this competition successfully attract around 20-25 Indonesia coffee roasters and the winner will bring home a 1 KG Nordic Roaster Machine from VNT Indonesia that equal to almost IDR 100,000,000. Besides that competition, the AeroPress Championship 2018 also attracts 108 barista and brewer around Indonesia since the winner of this competition will represent Indonesia at World AeroPress Championship 2018 in Sydney, Australia. Our favorite shelter, Klasik Beans Cooperative with its Green House Dryer shelter concept. Finally I met Pak Eko Purnomowidi, our Indonesia coffee man, in person! The coffee industry trend in Indonesia is expanding. The coffee consumers who come to Jakarta Coffee Week are not only the follower of ‘Es Kopi Susu’ or ice coffee milk trend but also the a critical drinker or a third wave coffee drinker who started to questions about their coffee quality. They are someone who will ask the coffee roaster or brewer about where their coffee come from, which machine do they use to roast the coffee, how many temperature of water to brew the coffee, or what process do the farmer create for the coffee green beans. This phenomenon make the coffee player has to be innovative in differentiating their coffee to sell. Four Chambers, a booth tenant that consist of four coffee roasters in Indonesia (Two Hands Full, Hungry Bird, Instinct Coffee Roaster, and Papa Mama Coffee create a collaboration in selling their coffee beans and attract visitors by brewing their specialty coffee and tea. In other hand, the visitor got attracted with the bamboo booth that represent the “Green House Dryer” of Klasik Beans Cooperative, a coffee farmers co-op that run sustainable coffee farm and mills processing along with the deforestation program in West Java, Aceh, Flores, Toraja, North Sumatra, and other. So, are you interested to also be one of the players in this industry? It might be wise to consider which sector you want to be in, whether it is in the upstream, downstream, or find the other new stream. As a visitor, sometime its hard to tell, is it Sindoro or Sumbing Mountain? My visit to Kopi Mukidi is not without a purpose. I decided to bring my backpack, hop on to the next nomad destination after Jakarta – Yogyakarta – Magelang to Temanggung, a small town that has two mountain: Sindoro and Sumbing, with the view of another 5 mountain summit: Andong, Merbabu, Merapi, Ungaran, Muria if you saw it from Posong area. Luckily, I have an uncle from Parakan, Temanggung who live with my aunt and their three kids. I stay with them during my four days in Temanggung and they show me around as well as introduce me to their coffee related friends. There is also “Temanggung Fair” when I come in Saturday and we visited the fair in Saturday night where my uncle want to show me the coffee exhibition in the fair. As predicted, I come to their home that night with bunch of coffee beans from different roaster and farmer: Arabica Prau from Rumah Kopi Temanggung, Arabica Sindoro from Sigandul coffee, Yellow caturra Sindoro from Kwadungan Coffee. Basically, the coffee beans in Temanggung are mostly from Sindoro and Sumbing mountain with the average high of of 1.200 – 1.600 mdpl. However, there are several coffee from Prau mountain as well. In the next day, my coffee trail discovery brought me to meet Mr. Tuhar, the owner of Kopi Posong KUB. Daya Sindoro from Tlahab village. His house located near Posong tourism destination which also famous after the movie “Filosofi Kopi” . In fact, the movie use Mr. Tuhar’s coffee farm for the shooting, if you notice. His house is to the left, going down..
Mr. Tuhar share his story on the changing life from being a tobacco farmer into become a coffee farmer. It was a very hard and challenging decision and even until now, there are still so many tobacco farmers that did not put the respect and trust on him. The culture of tobacco that has been around the city since hundred years ago make it so hard to convert farmer from planting tobacco into coffee. My discussion with Mr. Tuhar went far from talking about the tobacco industry until coffee industry. Even though its challenging, he still have the faith in coffee and do not care about what other people say about him. He believe that Temanggung can compete in the coffee industry worldwide, even Temanggung coffee beans already won several ward nationally and internationally. Kopi Mukidi: You Never Think There is a Coffeeshop Inside this! Kopi Mukidi from inside, what a surprise! My uncle and aunt introduce me to Mr. Tuhar and the next morning, they bring me to Mr. Mukidi! As you can see from the photos above, there is a big different from outside and inside. I will never think there is a hidden treasure inside this house. A very beautiful wooden design of coffee bar that Kopi Mukidi has. I started my visit by visiting the roaster inside his “coffee kitchen” where I found his wife, Mrs. Sumi, in the process of roasting Sindoro and Sumbing coffee. Mr. Mukidi is still brief his two girl barista since we came in the morning around 8am, they are about to start working in the cafe. After the briefing done, Mr. Mukidi come to join me in the kitchen and explaining about his own coffee roaster. He mention that he design this together with his friend who can make the machine and keep improving it until the third trial that he own right now. I thought he buy this machine somewhere and surprise when he told me he create this by himself and even sell it to the other for less than 10 million rupiah (<US$1,000)! He become famous because his profile appear in the famous comic book in Indonesia and he is the pioneer of Temanggung coffee farmer and roaster back then in 2012, before everyone thinking to process coffee. A view from his rooftop. He is developing a homestay in his second floor! However, he has a big vision. His purpose is to not only selling coffee and making money. Beyond that, he would like to empower farmer to be independent economically, and reach wealthiness through coffee. He encourage a lot farmers to join him in planting coffee, do a well preparation for planting, harvesting, and post-harvesting process, even roasting, and opening up your own coffeeshop. He gave me a short lecture based on his experience on the “economy of coffee”, on how farmer will get bigger income if they can process the coffee from seed to cup. The highest value of coffee is in the cup of consumer and he proof what he said by having his own coffeehouse. In my encounter of my coffee trail with coffee enthusiast and farmer from the US, Canada, Japan, Peru, Puerto Rico, Tanzania, and now Indonesia, I got a lot of perspective in doing coffee businesses. It really depends on what is your vision. Do you want to make a lot of money, or you want to make the best quality of coffee, or making impact to the farmer? Do you want to do the whole business from seed to cup, or you want to focus on the farming, harvesting, post-harvesting, or roasting? or you want to create another coffee shop or coffee stall in the urban city? It will make a lot different in the process of doing the coffee business and setting up a strategy. What do you think will interest you the most? In a cute little old town and chill weather at Ollantaytambo, a village in the sacred valley of south Peru, we found a hidden gem called Café Mayu. It is located inside El-Albergue hotel nearby the train station of Peru Rail that will bring people to Machu Piccu. Fiorella, my Peruvian friend who brings me to Peru found this place for me since she knows how nerdy I am when it comes to coffee. Café Mayu, a micro coffee roaster runs by a master roaster, Frank. Frank greets us in front of the hotel lobby and guides us inside the hotel and surprise! It was a huge farm behind this hotel with a scenic view of the mountain nearby. I will never thought this small hotel and coffee shop has a huge farm inside. Frank runs this organic farm for almost 7 years now and it consist of local vegetables (brussel sprouts, beans, arugula, lettuces, chili, basil, and other), fruits, animals (pigs, cows), but no coffee. This farm was too high to grow coffee, he tried to grow coffee plant in a corner of his place but nothing comes up from that small tree, he decided to put it in a pot and just display it in the corner of his office. This place also creates nature or Eco School for primary or elementary school students and is open for everyone in the village. The school located in the middle of the farm and the kids will learn about organic farming, growing animals, how to practice an environmentally friendly lifestyle in their daily life, and also learning about the regular knowledge like a formal school such as English & Quechua language. They currently have 25 students in the school. Frank walks us to his office, which is a two-stairs wooden building that he uses to save green beans. He mentions that currently he has 1,200 kg beans upstairs. He use the downstairs to process the coffee from hand-picked the green bean, roast the coffee with his customize roasting machine, package the roasted beans, and sell it to the market. He has one staff that handpicked the green bean when we were there. Interestingly, he also has a microbrewery factory nearby the coffee roaster and is able to brew beers. So yes, he drink both beer and coffee. The farmers harvest the coffee together so they do not process it through single farming but they are working together on the one farm. The coffee in Peru grows in a very high altitude and can reach more than 2,000 above sea level. The types of the coffee bean are mostly Caturra, Typica & Bourbon. The harvest season for coffee farm in Peru is from May – July. Frank mention that he always has a good relationship with the farmers and Café Mayu only buy premium and fair-trade Cusco coffee, purchased directly through the farmers. Frank customizes the coffee roaster machine from a German friend who starts roasting coffee in Peru. The machine connected directly with the software so he can control the same standard quality of roasting. He roast the coffee almost everyday and process it directly at this place, sell it through Café Mayu coffee shop and distribute the beans around Ollantaytambo and Cusco. “Do you have time to taste our coffee before your train to Machu Picchu?” Ask Frank, and of course we say yes. He then prepares the Santa Maria coffee for us with Syphon method. My friend quite impresses with how he makes the coffee and there are 5 of us in his lab at that morning so he prepares 5 cups for us. “If you like this one, I can bag the beans for you.” Said Frank in the end. We sip the coffee carefully and Frank asks how does it taste? We try to feel it and tell Frank how is it. We feel the nutty, caramel, molasses, and sweet. Even Frank feels the chicken soup taste after seconds you put it in your mouth. Everyone thinks he definitely make a joke about that. I visited Tokyo – Japan last year in September and stayed at my sister‘s apartment. Tokyo is an interesting city, I feel like sometime you live in a different world, a very unique culture. A big city but still keep the local wisdom deep inside. Japan to me is the country of perfection and patience. One thing that I want to experience when I knew I’m going to visit Japan is exploring the coffee shop, especially the Japanese-style coffee house or tea house or they call it Kissaten. I did a little research about some places to go in Tokyo and found an interesting history also about coffee legend named Katsuji Daibo who own a his old kissaten for 38 years until December 31, 2013 when he closed his door for good. His Daibo Coffee used to serve customer at Omotesando area. There is a movie called “A Film About Coffee” that dedicated for him, you can watch it here. There is a beautiful article also that feature about his profile here: http://roadsandkingdoms.com/2013/daibo/. Even though there is no more Daibo, the coffee culture in Japan is still there and it such a “religious experience” for every coffee lover to go into one coffee house to another in Japan. I feel like it’s kind of a “pilgrimage” for coffee. Here are some of the coffee houses that I visited when I was in Tokyo. I would love to come back again one day to Japan to explore more kissaten in other cities. 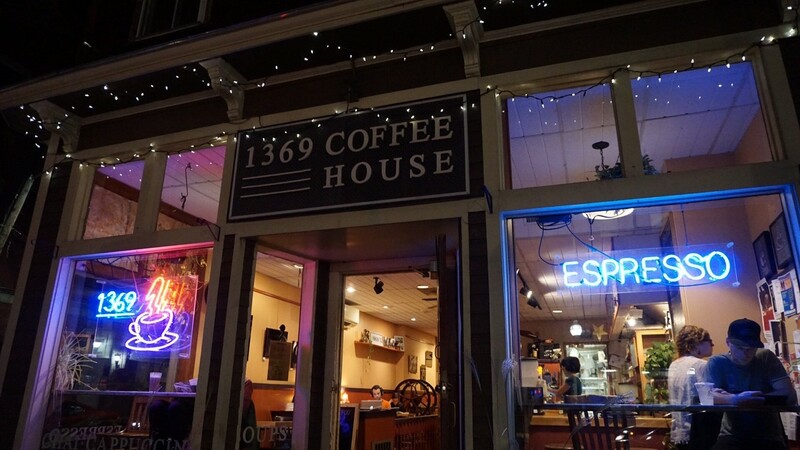 This is my sister’s favorite coffeehouse where she usually go for a coffee or to do some work. Its close to where she live and we can walk or take the metro. Slow Jet has 3 location in Kodai-Ji, In the Zoo, and Adachi. We visit the one in Adachi. You can get their daily blend brew coffee for a quick one or the hand drip brew coffee where they usually use Kalita Wave for the pour over coffee. Yanaka is one of my favorite neighborhood in Tokyo. A traditional and old part of the city, there are also a lot of houses that safe from the Earthquake back then in this area. It’s a nice feeling to just walking around the area and then stop by at Kayaba Coffee for a hot of cold coffee. Kayaba coffee build in this old house that has been there for 70 years. Their green tea latte selection is also delicious! I’ve visited Blue Bottle in San Fransisco and LA and yes its come from the U.S and one of the major player in third wave coffee. They open their first branch outside the U.S and pick Tokyo as their destination. Apparently, Blue Bottle’s Founder (James Freeman) really admire Daibo and love the culture of coffee in Japan. The modern look of Blue Bottle in Japan is not much different from where their cafe in the U.S.
Chatei Hatou is a very interesting Kissaten with an classic interior and ceramic cup that they use to serve the coffee. It take a long time to wait for your one small cup of coffee and it also cost a lot, like 800-1000 yean for a cup of coffee but it definitely worth to try. An ultimate Kissaten experience in Tokyo. Yanaka Coffee has some branches in Tokyo and the one in Shimokitazawa is one if it. I love the neighborhood, very hipster and indie part of Tokyo. Bear Pond in Shimokitazawa is a cute little cafe and the owner, Katsuyuki “Katsu” Tanaka has been around the U.S previously to learn all about coffee. He got the training also from Counter Culture Coffee. The Roastery located near the Harajuku area and the roast the coffee in their cafe. They have various selection of coffee beans and the ambient inside the cafe is really nice. Tsuta is one of the old kissaten and has a beautiful garden inside. When me and Karin finally find this place, its dark in the night and they were close! Its a bad timing, but we took this photo of their mailbox and hope one day we’ll get here. Knowing that Tsuta was close, then we move to the closest kissaten that we found from our little research on the internet; Lion Cafe. It’s a jazz kissaten and when we get in, it’s the whole different world from outside the street. It’s very quiet, we cannot even talk here, no photography allowed, and we sit in the front row where its only 2 other people in the room. There will be the waitress who change the music from the vinyl record in front of the chairs that look like we sat in a train. I feel like being in one of Haruki Murakami novel with his dark, silent, misterious character on the novel. This coffee shop located near Tokyo University and I might say its my kind of coffeeshop (not the Kissaten one) that I will go everyday. A very fair price and a good quality of coffee! They have various cafe all over Tokyo. Ammonite Coffee located near Tokyo University as well and they have a coffee tester in front of the order table where we can taste the speciality coffee we want to choose. As you can see below, they use V60 pour over method to brew their coffee. After visited all those coffee houses and kissaten, it really inspire me on how Japanese is very passionate and put a very high perfection in a cup of coffee. It is sad that my own land, Indonesia, despite having a lot of good speciality coffee beans, still the majority of Indonesians did not drink a good quality of coffee. Instead, we consume a lot of instant coffee. We need a lot more quality coffee houses in Indonesia so that it can bring the “coffee culture” in Indonesia. Wouldn’t it be nice when finally the majority of Indonesians aware and know where the coffee comes from, enjoy the process of making it from beans into an excellent cup of coffee, then drink it, in our own country. My interest to learn more about coffee growing since I live in Boston and currently, the dream to create a coffee house in Indonesia is alive again. This trip is giving me an insight on how important to serve an excellent but humble cup of coffee and its need patience with the deep curiosity to keep learning from everywhere and everyone. 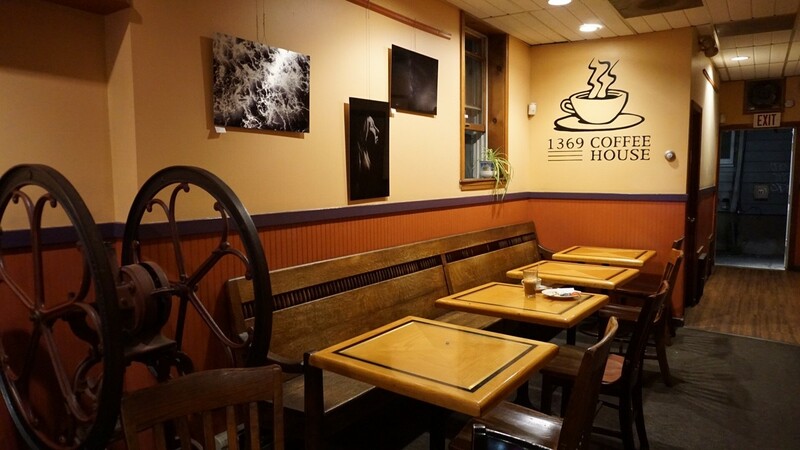 This winter break travel to Canada was interesting and different because I do not look for touristy destination when I visit a city but in discover a used bookstore and local coffee roaster. I got some old interesting books from my discovery and a Montreal based coffee roaster; Saint-Henri Micro-torrefacteur Kenya coffee to bring home. I would like to share some of my best finds on the road. 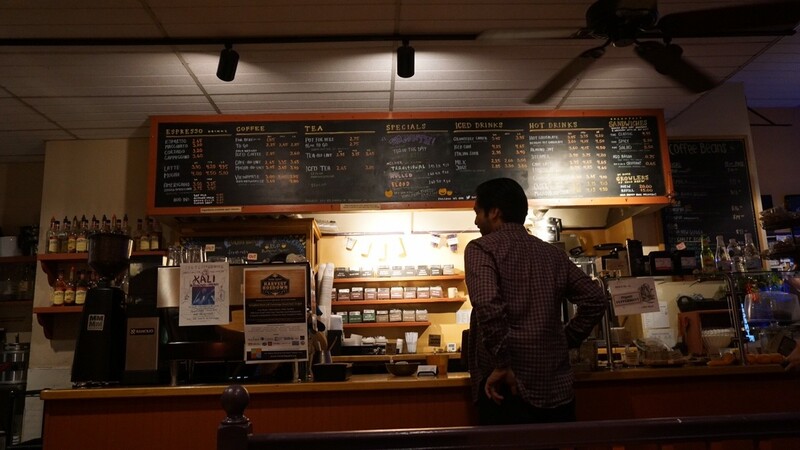 If you are into coffee and book, you will love to try looking for coffee and book trail when you travel, instead of a common and mainstream destination. They are famous with the turkish coffee, made by the Turkish owner, Kubo. Sue and Laurie, a friend of mine in Halifax who used to be the host family of Nithya & Kitty brought me here for brunch in my last day in Halifax before I leave to Charlottetown. I sat in their coffeeshop inside the library for around 2 hours here with Melissa having a great conversation. The public library is beautiful and very cozy! I went to the one near McGill University. Not so much seating places, a lot of people take it on the go. They serve coffee roasted by Parallel and Ritual coffee roaster. Its sad that when we arrive here, they are already close. We hear this from our friend that they have a really good Turkish coffee. Next time! I went here twice during my stay in Montreal because it so close to my friend house. I ended up buy their Kenyan coffee before I left to Boston. They roast their coffee themselves and you can smell and hear the roasting just nearby the barista counter. Their chocolate croissant is also delicious! Andy, a friend of mine who used to do Canada World Youth exchange program in Indonesia brought me here as we wander around Mile End. Located just in front of ‘Drawn and Quarterly’ bookstore and ‘Phonopolis’ record store, in Mile End area.. this cafe is one of the best you can have. Mile End is one of my favorite neighborhood in Montreal because of the hipster above hipster in Montreal. They always have indie musician play almost everyday as you can check the schedule in their website. I have to admit that this is so far the best used bookstore and record store I’ve been into. Their collection is very high quality with not too expensive price. They display used books just like in a new bookstore, many categories. They also have a fine collection of rare and antique books from old time. I ask the bookseller where they got the book and they said that mostly people sell to them everyday (I witness two girl selling their fine used books, a lot of them and they pay $200 for them) and also sometime people die and donate/sell their books or their library collection. I got 3 books from here: “Footstep by Pramoedya Ananta Tour” that I gave to Emma as a gift, “The Culture of Simplicity” by Malcolm McLeod from the 1908, and “John Lennon, the story behind every song”. One of the best little new bookstore, they have also published their own graphic novel or book or comic. Very rare collection, I found a lot of Haruki Murakami books here too. I got a little poem book by Pablo Neruda from here. Most of their collection are in French books, however I got an old printed version of “The Wizard of Oz” from here for only $3. One of my best find! This is located nearby McGill University. A small used bookstore, a bit harder to find book you want as they don’t categorize or arrange the book easily. However, I got “Snow” by Orhan Pamuk for $5 here. Me and Emma wander around Saint-Denis one evening and we went do the “store-hopping”, one of the two bookstores in Saint-Denis is this one. Very good collection in mostly french books. I got a friend “Tin-tin En Amerique”old version in French from here. I got “The White Masaai” book for $5 here. They have rich collection on comic, Japanese manga, and non-fiction books. Located in the area of McGill University, being around with a lot of Asian restaurants and vibe. One of the highlight of my trip! Another serendipity on the road meet me with Hans and Clyde, two passionate coffee roasters in Happy Goat! Their job is to make sure we drink a good quality of coffee through their roasting. Hans has been around the world looking for best coffee beans since 2010. He knew a lot about Indonesia coffee and he make us taste the Sumatra Lintong coffee with Chemex pour over filter. We plan to stay for a bit before heading to catch my train to Montreal and Adi & Arlene’s flight to Boston. But I ended up talking to Hans longer than I expected and we share contact since Hans has an interesting project about coffee roasting from origin country. I really want to come back again soon! “You can spend your whole life for coffee.” Hans quoted when he describe his journey working with coffee. That afternoon, I share my dream to create one in Indonesia. They roast Ethiopia Sidamo that afternoon. I taste one with Chemex as Hans recommend me since I told him I love the high acidity coffee, and I love this! We stay in an airbnb that close to this coffeeshop. A very attractive name and the coffee is good too! This is total awesome! Thus I put 3 photos for them. I love this bookstore who has a coffee as well. Their curation on book selection is wonderful! They are all used, rare, unique, and categorized by writer and type of books. Don’t forget to go down to the downstairs, you will be amaze on how many collection they have. They are loved by the community in Ottawa and they bring them together in a seasonal music performance inside their place. Close to what I imagine of a bookstore I wanted to own. I would love to come back! Finally, after the crazy midterm session, we starting our “Socrates Cafe” again! 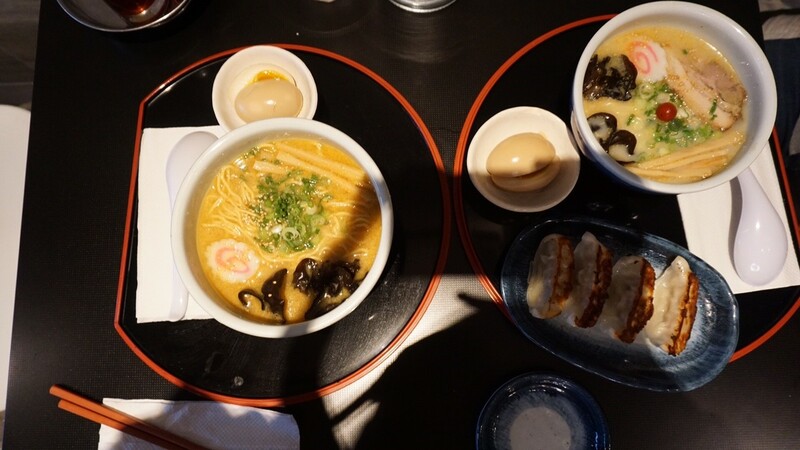 We decided to start the session by having late lunch Ramen that we already carving for so long around Harvard Square in Cambridge; the famous Santouka Ramen! Everytime I look at this photo, I wanna go back to this place.. so tempting! 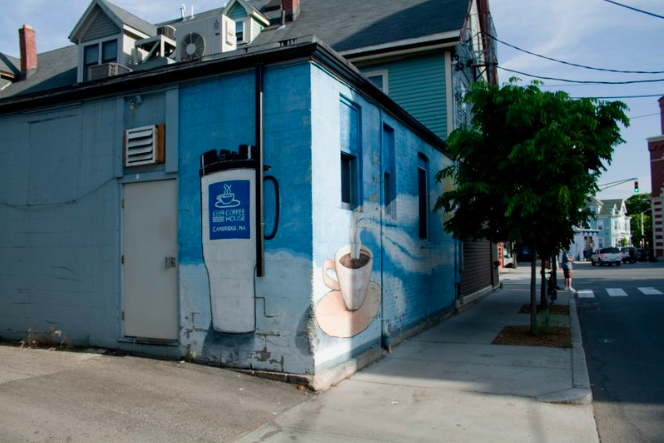 The backside of the coffeehouse. We sit just across this place! 1369 from outside. I take the photo with Andrea’s Sony mirrorless camera. Its not come with the cup, surprisingly. 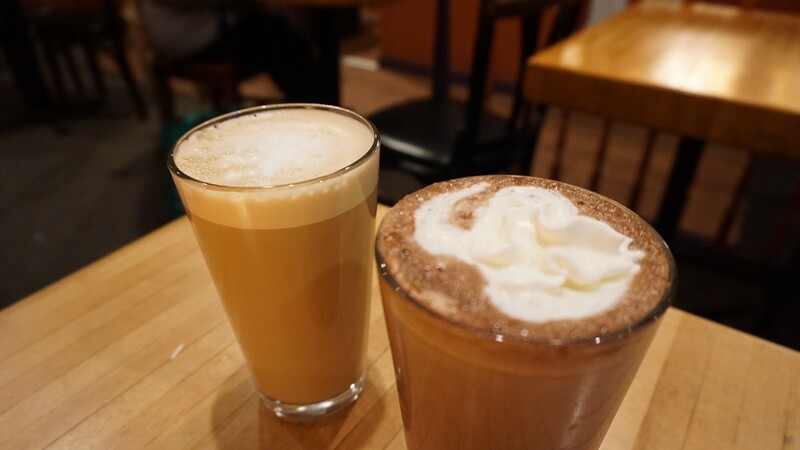 Even though we order hot coffee au lait & hot chocolate almond joy. Photo taken by Andrea. We pick the 3rd Socrates Cafe topic under the theme of “Freedom” as Andrea get inspired after her visit to the prison as you can read on her blog here. We started to explore what kind of freedom we have right now and we both agree that we have a lot of freedom to use in our life, but most of the time, we don’t use it (or we prefer to not using it). Freedom to speak, freedom to choose your friend (or not to choose), freedom to be alone, freedom to decide whatever you want, freedom to choose your religion (or not having one), freedom to travel, freedom to live wherever you want, and other kind of freedom. The question is : do you use your freedom ultimately? 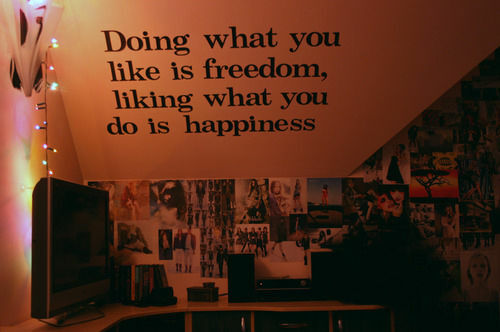 and is your freedom lead you to your happiness? Most people maybe will assume that freedom means do whatever you want without any boundaries. But what about if people choose to have boundaries and that whats make them happy? What is people prefer of being not free? “That backpack’s like your symbol of freedom,” he comments. In our conversation, we explore that people should define their own freedom, aren’t they? Definition of freedom for me might differ with what you think of your freedom. I am a moslem myself and maybe some people think that I have a boundaries with my religion, some people might think that being free means doesn’t have any religion. But I feel insecure if I don’t pray for example – which lead me to not having my own freedom of security that can create happiness eventually. So, is having religion set a boundary for people not having their ultimate freedom? Not always the case. Here, we come to the conclusion that we should define our own freedom that will lead to happiness. You cannot just follow other people definition of freedom because it might not make you happy. If we put this perspective on other people’s shoes, then we have to respect on people’s definition of freedom. I remember that one of my professor said in class, the most important thing in life is sometime not to love but to respect. You don’t have to love everyone but you have to respect everyone with all the differences that they have with you. To define your own freedom is maybe easier than to respect on other choice of freedom. For instance, you have a group of friends. One of your friend might choose to not always hanging out together with you because he or she just choose to not doing that for some reasons. It doesn’t mean that she or he hating the group, it just that they choose to have her or his freedom to do something else.